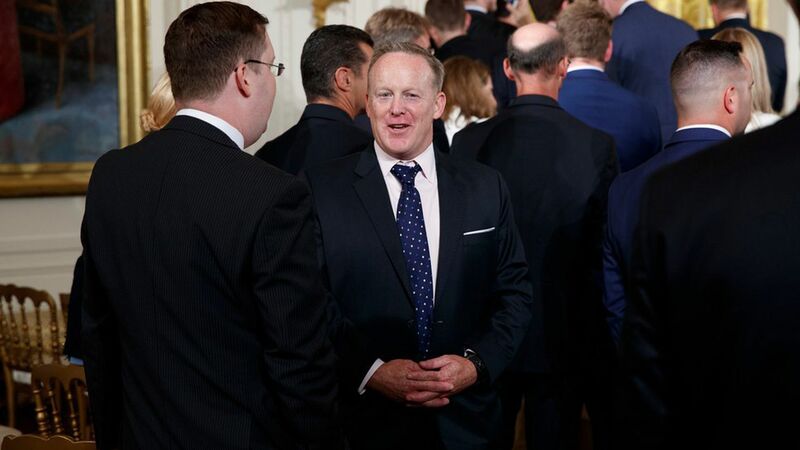 The President's favorite news network will not be offering former White House press secretary and communications director Sean Spicer a contract, Axios has confirmed. Why it matters: Sean Spicer's celebrity status has sparked hype that the former Washington flack turned household name is shopping for a network TV deal. CNN Politics reported Tuesday that Spicer is being represented exclusively by Worldwide Speakers Group for speaking engagements, but so far, there's no confirmed TV deal for Spicer. CNN has previously said it wouldn't hire him on as a contributor. Fox News has previously hired former Republican press secretaries in the past, including George W. Bush's first and last press secretaries, Dana Perino and Ari Fleischer.